Thimphu: Bhutan: In 1905, a British political officer photographed a baby Takin in Bhutan, in its natural habitat. In doing so, John Claude White (1853-1918) became the first European to obtain documentary evidence of the ungulate animal. Until then, the West considered the takin as a mythological animal and believed it was the 8th century Greek mythological animal, the gold-hair winged ram. Two years later, in 1907-1908, JC White returned to Bhutan as the representative of the government of India to attend the coronation of our first king. This time, White entered Bhutan crossing the Tremola pass in Paro and exited via Jaigaon. On this trip, he managed to send specimens and a living takin to London. The gardens named the takin, Budorcas taxicolor whitei in his honour. During, the political officer’s second visit, he managed to get a baby takin from Gasa, in the northwest of Bhutan. The officer sent the animal to the zoological garden in London. The zoological garden record confirms this. It states that the Bhutan takin arrived at the zoo on 22nd June 1909 and died on 7th May 1918. According to Flower (1929), this specimen was not only the first takin at London Zoo, but also the first such animal to reach Europe alive. The zoo considered it the most valuable animal. 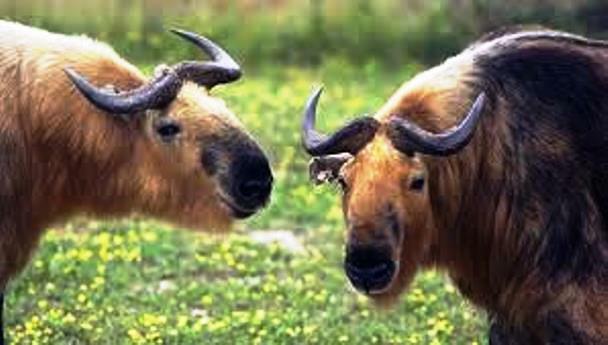 The takin is the national animal of Bhutan. It has always been a subject of great interest to our visitors. The animal is believed to be made up of an ox, the antelope, a sheep and a goat. Because the takin is a rare and endemic to the eastern Himalayas, Europeans have always been curious. In addition to White, two other Englishmen were also fascinated with the animal and wrote about it. The other Englishman, fascinated with the takin, was Malcolm Lyell (1921- 2011). Lyell was a close friend of our third and fourth kings. In the 1970’s, he trekked through the natural habitat of the takin in the northern part of Bhutan, an area that was largely restricted. While White may have been the first to take a photograph of the takin, Lyell was certainly the first to take a colour photograph of the takin. Lyell took photos of baby takins that were being brought into the capital from the highlands. 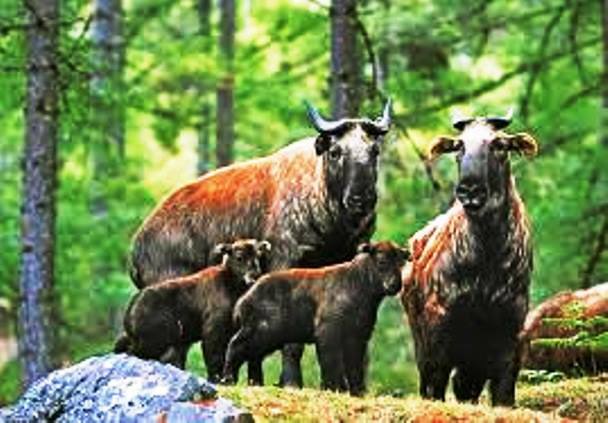 There are four species of takin and the Budorcas taxicolor whitei is indigenous to Bhutan, and the national animal of our country. Because it was first spotted by Mr. White, it has been named in his honour. Although the Bhutan takin in London Zoo died in 1918, the ones in Thimphu Zoo, brought down from the mountains in 1974, are thriving. The animal has become a major tourist attraction.